OAK RIDGE, Tenn., Oct. 16, 2017—SimPath has licensed a novel cloning system developed by the Department of Energy’s Oak Ridge National Laboratory that generates and assembles the biological building blocks necessary to synthetically bioengineer new medicines and fuels. Knoxville, Tennessee-based startup SimPath will further develop ORNL’s cloning method into a multi-gene DNA assembly kit and software package for customers who use synthetic biology techniques. Synthetic biology leverages genome sequences of organisms, such as bacteria, yeast and plants, and reassembles the DNA parts to manufacture products that are difficult to obtain naturally. ORNL researchers developed the cloning system to aid studies of drought-resistant plants that rely on a water-saving form of photosynthesis known as crassulacean acid metabolism, or CAM. The new system has been beta-tested at the DOE Joint Genome Institute, where it enabled a 50 percent increase in production. The method offers flexible cloning with fewer biodesign restrictions and can be automated so that multiple genes can be connected seamlessly in a chain, creating better compatibility when connecting various protein-coding DNA parts. 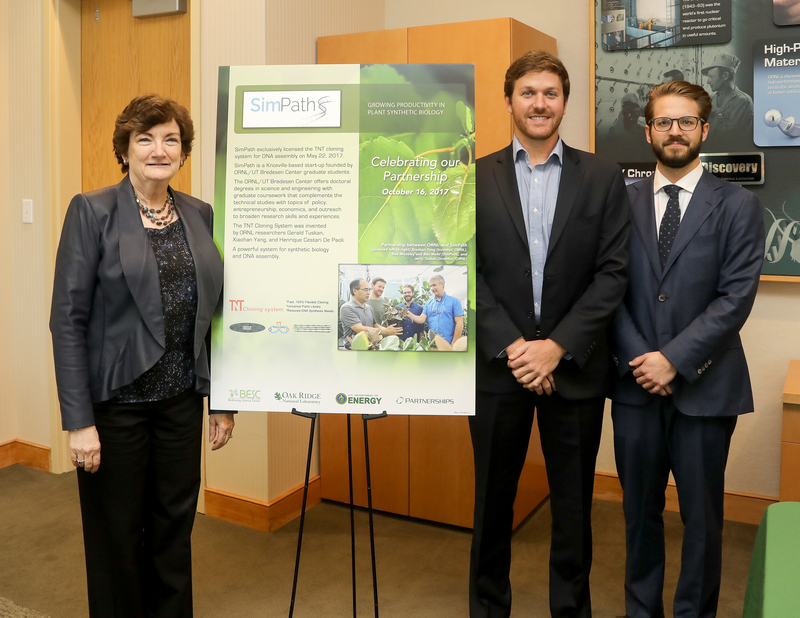 SimPath plans to provide an accessible product that helps synthetic biology researchers reduce operating costs, increase efficiency and more quickly commercialize products. 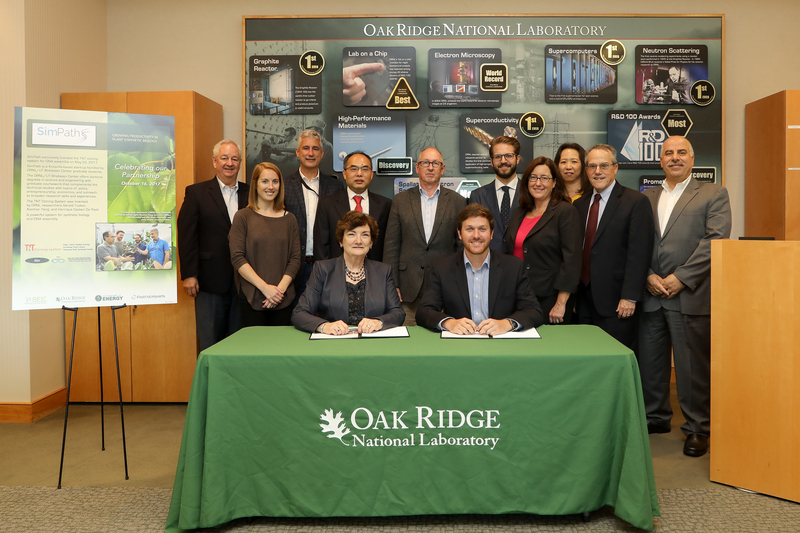 ORNL and SimPath will continue to partner on the cloning tool, using feedback from SimPath’s customers to enhance the system and fine-tune characteristics such as shelf-life, which determines the viability of live products. Co-inventors of the cloning system include ORNL’s Xiaohan Yang, a lead researcher on the DOE CAM biodesign project; Henrique C. De Paoli who is a senior research associate at the DOE Joint Genome Institute at Lawrence Berkeley National Laboratory; and ORNL’s Jerry Tuskan, chief executive officer of the new Center for Bioenergy Design. The research was funded by DOE’s Office of Science (Biological and Environmental Research, Genomic Science Program) and the technology matured under ORNL’s Technology Innovation Program. The Center for Bioenergy Innovation, led by Oak Ridge National Laboratory, is one of four bioenergy centers chosen by DOE to advance a new biobased economy with the production of fuels and other products directly from nonfood biomass. CBI is supported by DOE’s Office of Science Biological and Environmental Research.